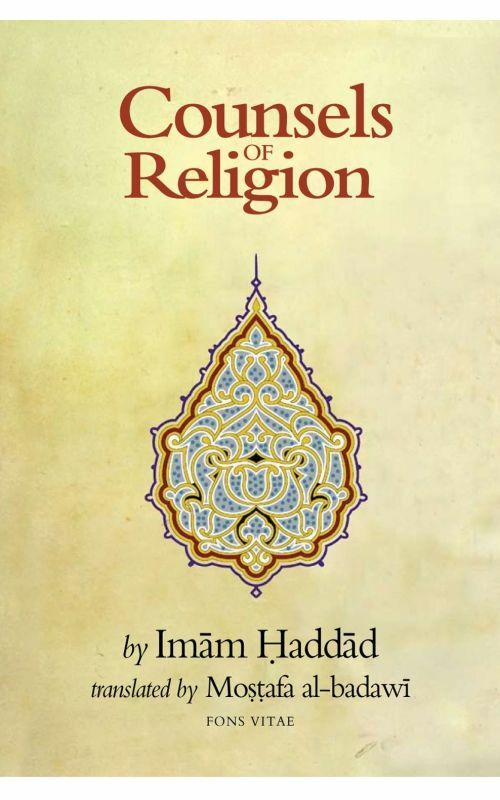 The contents of the book are in many ways similar to those of the Ihya’, despite the fact that the latter is made of four large volumes. The book opens with a discourse on taqwa or God-fearing, leading up to the role of taqwa in attaining to a good ending to life, which means passing into the next life as a Muslim, thereby making certain of reaching paradise. As parts of taqwa are discussed such outward endeavors as unity among Muslims, the avoidance of division and discord, and the duty to enjoin good and forbid evil. Taqwa also comprises inward things such as contentment with God and His decrees, avoiding distraction and illusory hopes, fear of God, the remembrance of death, avoiding hoping for forgiveness without working for it, while using predestination as a justification. The essential role of knowledge in Islam is discussed next, followed by four of the five pillars of Islam. The fifth, which in the usual order comes first, the testimony of La ilaha illa’llah, Muhammadun Rasulu’llah is left till the end, where it is explained as the Creed of Ahl al-Sunna wa’l-Jama‘a. The four other pillars, the ritual prayer, zakat, fasting, and pilgrimage, are discussed not in regard with their outward legal aspect, but rather their dimension of ihsan, which is what one ought to do and what pitfalls to avoid in order to render the act of worship outwardly and inwardly sound and thus acceptable to God. Among the most important things which make an act of worship acceptable is the degree to which one’s heart is present with God, and to this and to reciting the Qur’an a chapter is devoted. The eighth and ninth chapters are related, since enjoining good and forbidding evil constitute a major part of Jihad. The tenth relates to the rights and duties of people toward each other, such as the duties of political leaders towards their communities, those of judges, those of children toward their parents, parents toward their children, spouses toward each other, relatives, and other such matters with which those who enjoin good and forbid evil should be well acquainted. Then come two chapters which in the Ihya’ constitute two of its largest sections and so to speak its heart, “Ruinous Things” which are those deeds, emotions, and characters which ruin one’s heart by darkening it, and “Saving Things” which, being their opposites, lead to the heart’s purification and enlightenment. Ruinous things include everything that is legally forbidden, as well as the crimes of the tongue and ailments of the heart such as arrogance, resentful envy, avarice, and so on. Saving things include repentance, the nine stations of certainty mentioned in the Book of Assistance, in addition to sincerity, reflection, and short hopes.